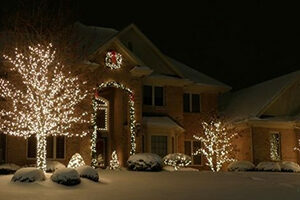 NiteScapes is your outdoor lighting professional company located in Troy, OH. Our mission is to design, install, and service low voltage outdoor lighting systems at an affordable price. NiteScapes LED Lighting has a better quality of light from LED, 75% energy savings, and simple maintenance. 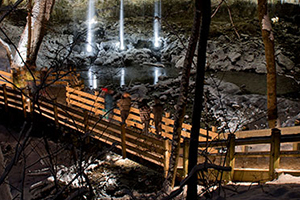 NiteScapes has been specializing in outdoor lighting for businesses and commercial property in Dayton, Ohio and surrounding areas. Christmas Lighting can be a huge pain to install as a homeowner; why not let the professionals of NiteScapes do this for you each year? 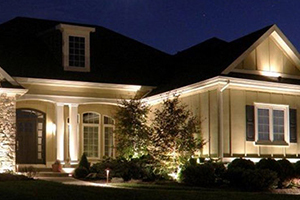 We are convinced that you’re going to enjoy your NiteScapes Landscape Lighting System all year round but it is essential to maintain the system. 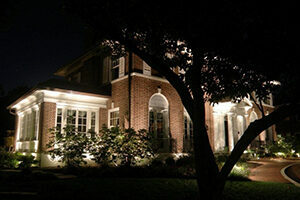 Landscape Lighting Systems by NiteScapes. With years of experience in the landscape lighting business, NiteScapes has learned what it takes to create a professional landscape lighting system that will last a lifetime. 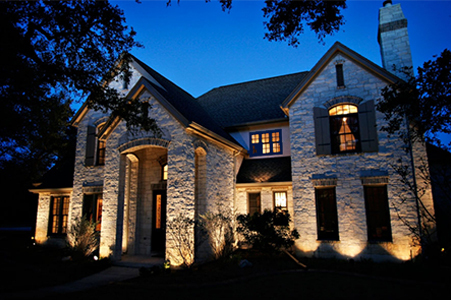 We have worked with numerous homeowners helping them transform the exterior of their homes at night. NiteScapes is the premier locally owned and operated landscape lighting company in the Miami Valley and we are looking forward to serving all your outdoor lighting needs for many future years.